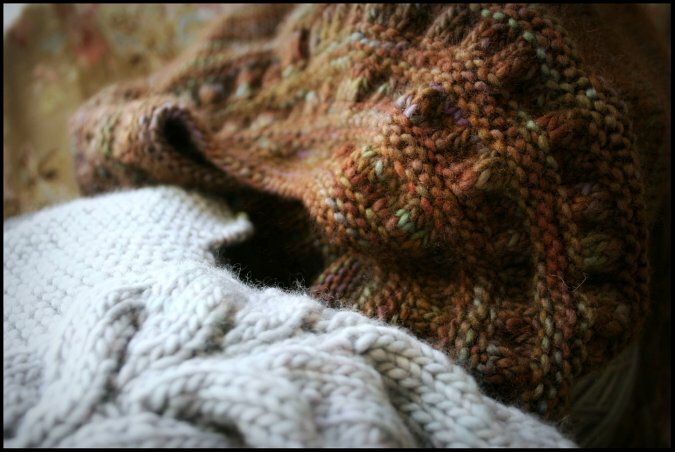 This winter I have really enjoyed working on sweaters. But not just any sweaters.. sweaters knit from single ply soft merino wool. It's my new knitting obsession. with a warm merino sweater on your lap. There is something so cozy and comforting about the process. These two in the photo are my Vine Yoke and Tea Leaves Cardigans. One is knit in Malabrigo Worsted and the other in Tosh Merino. Two very similar yarns. Equally soft and squishy. I've been making fine progress.. they are both over halfway completed! I'm very excited to get them done.. but will miss working on them at the same time. 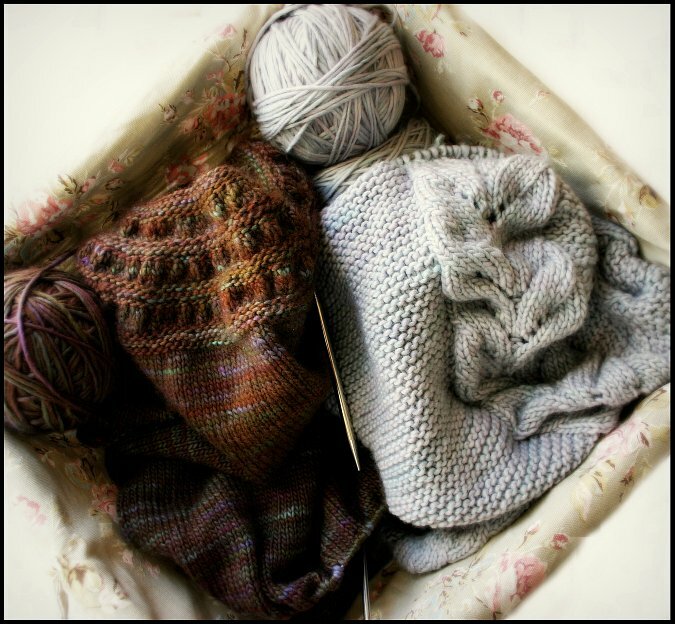 Thankfully I came across another sweater pattern recently which would make another wonderfully squishy project. Click here to see. I'm thinking about Tosh Merino in Tart for this one.